Featured in Games > Board & Racing > What's Hot! Top 5 in Board & Racing and Top 50 games overall in Hong Kong! Hey Hong Kong, we love you too! 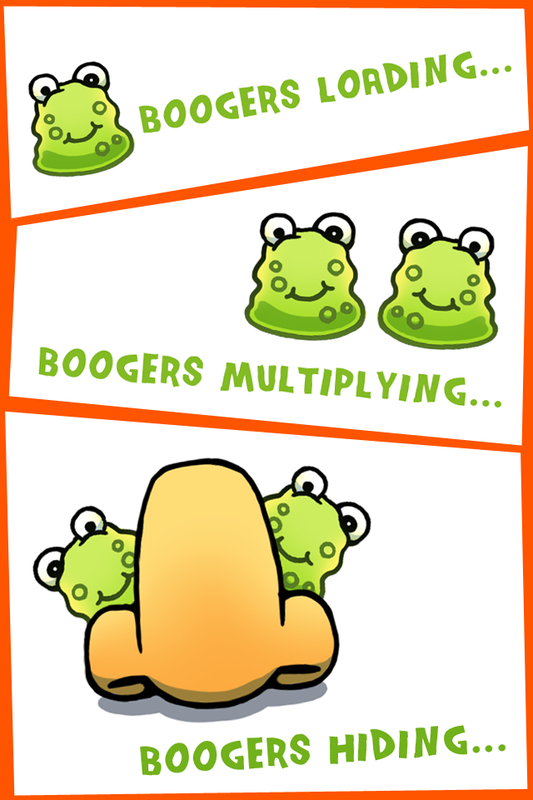 Can you find the booger?! They're fast and sneaky little critters. 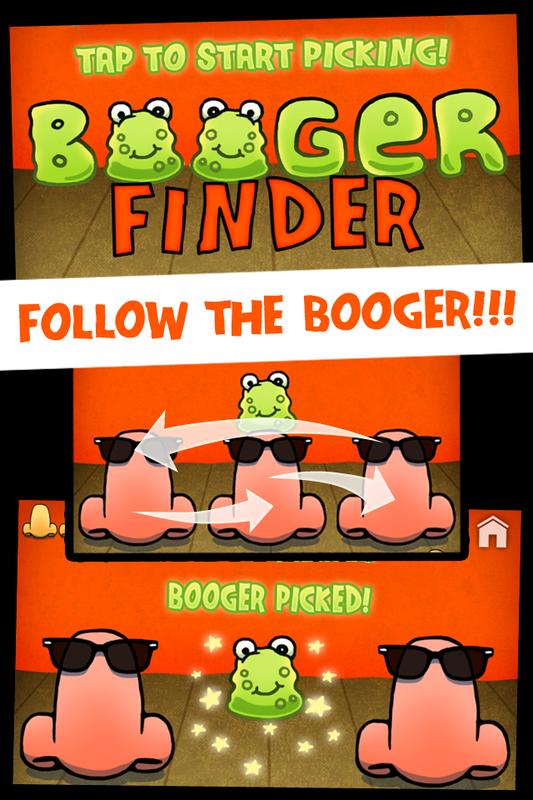 A fun twist on the classic find the ball guessing game with boogers! 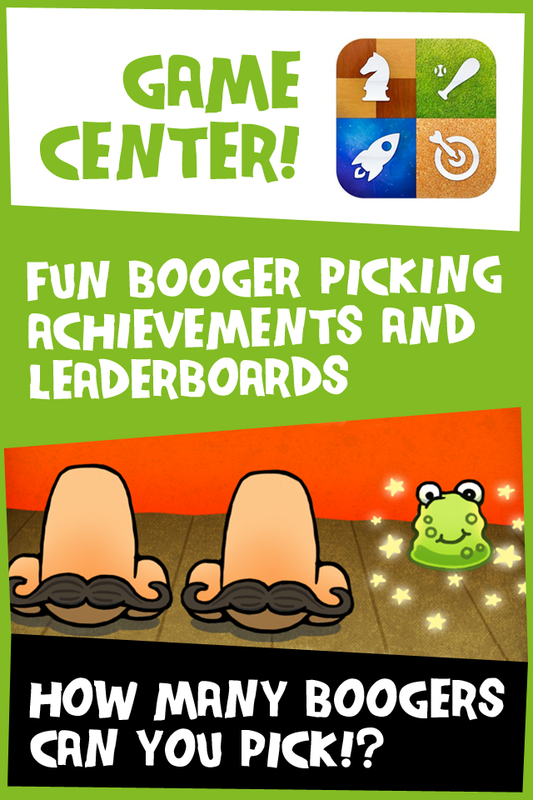 Try it today and see how many boogers you can tap, pick, and find! 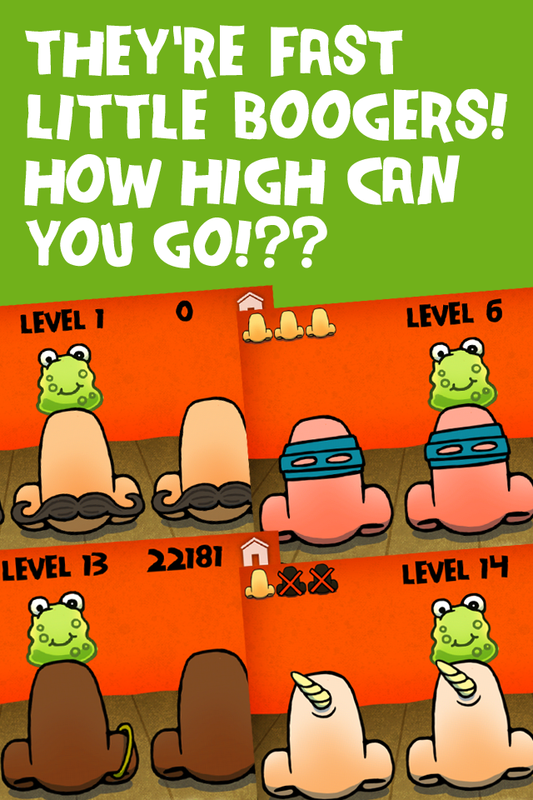 Catch those little green goblins as they race around in noses and blast them back to where they came from! The "Nose Pack" is 50% off for a limited time. More noses, more fun! Check us out at these places too.